When offering a cool semi-hollow electric guitar like a Colt, Dean knew it would open some demand. Enter this gorgeous piece with enough horsepower to burn up any stage -- loaded with DMT designed pickups, a Piezo, and dual passive outputs. What else could you need? 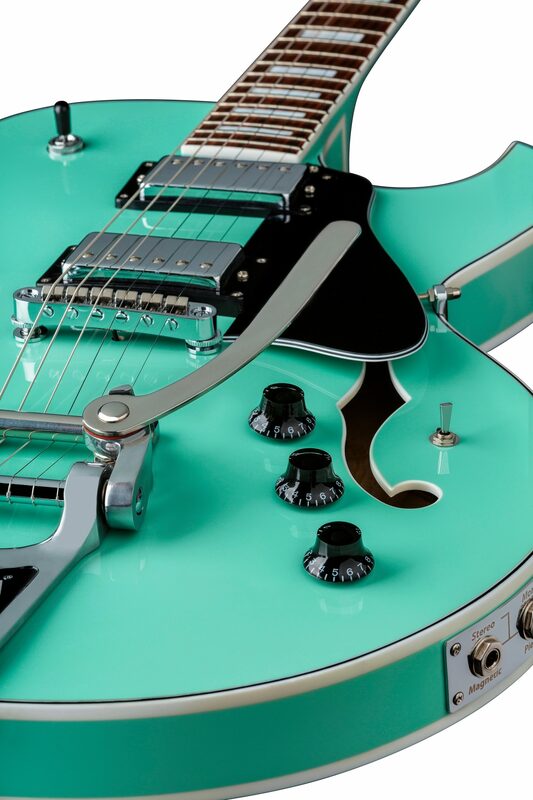 How about a real Bigsby bridge to put it over the top? This is the perfect guitar for anyone who likes the warmth and flair of classic rock 'n' roll to the complex Travis-picking masters. A maple neck and body for depth and brightness, balanced with a Pau Ferro fingerboard to take the edge off, with endless electronic options puts this guitar ahead of the herd.